The virtuous cycle of increased computing power enabling new applications which demand more computing power continues unabated. Today, applications spanning AI, autonomous vehicles, video streaming, AR and VR all demand more bandwidth, lower latencies and higher speeds. In response, the SoCs powering the terabit routers and switches at the heart of the network must run even faster. 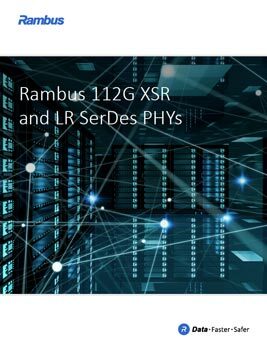 The upgrade to 112G SerDes represents the latest advancement in high-speed signaling technology enabling communication within and between network devices.